This warning is initially for MRI Real estate victims although we don’t exclude the possibility of this company Registro Legal targeting timeshare owners as well. Registro Legal cold calls consumers and claim that there is an upcoming court case against the company that has defrauded them, such as Mac Anthony Real Estate from Marbella. In order for Registro Legal to act on behalf of the consumer there is a fee to be paid of £199. This fee is supposedly a court fee. The fee can be paid into a bank account which is in the name of an individual. 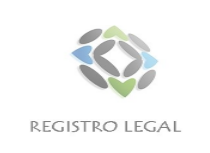 Consumers asking for more information about Registro Legal were told to “google” the name of the company. This is of course a “mission impossible” as Registro Legal means legal register and thousands of matches will show. When asking for a website, consumers were given a website of a generic legal company based in Valencia and which does not seem to have anything to do with Registro Legal as they claim to be based on the Costa del Sol. Taking into account this company wants to appear as a genuine legal company, they seem to provide very few details on their company itself, no Company House registration in Spain or UK, and neither any information on the supposed lawyers working on the court cases. We certainly do not recommend Registro Legal and would advise anybody who has been contacted from 0034 951242861 with a similar pitch as the one mentioned above, contacts us for more information. This entry was posted in Costa del Sol, Legal Services, Uncategorized, Warnings and tagged Bogus legal company, Darragh MacAnthony, Fake Court case, Fake Lawyers, Legal Register, Mac Anthony Real Estate, MacAnthony Real Estates, Mijas Costa, MRI, MRI Marbella, Real Estate Scam, Registro Fuengirola, Registro Legal, timeshare. Bookmark the permalink.